Stop comparing your achievements with others. Now we come down to the brass tacks. What is a writing consultation, and how can it help me? Have you ever been stuck in a rut? Is the dreaded “Writer’s Block” a regular or even constant companion of yours? There are untold untapped resources out there to help jump-start or fine-tune your writing and get your book back on track, such as the writing consultation service from Outskirts Press (my employer). A number of other indie, hybrid, and self-publishing companies offer similar services, and there are all kinds of free websites dedicated to the same thing–and the only downside to these free services is the fact that they can be hard to navigate. When you have thousands upon thousands of web pages to filter through for relevant bits of information, where do you get started? Herein lies the benefit of an actual, honest-to-goodness sit-down session with a live human being and professional: a consultation session gives you time with a skilled writer who is also an industry expert in order to address any writing issues you are experiencing. You should also emerge with a great deal of valuable advice and a plan of action for moving forward. A live consultation is the great rut-breaker! And what’s this about learning about self-publishing? Simply put, the more you know about the self-publishing industry–and the options available to you, the author–the easier it is to find your way forward. Don’t be afraid of the Great Unknown! You can’t afford to not know what you’re getting into, and if you find yourself overwhelmed, don’t hesitate to get in touch with the self-publishing community through web forums or even the experts that your prospective self-publishing platform keeps on hand for just such a moment. They’re there to help! And while I can’t speak for all experienced indie authors, the ones I have had the pleasure to meet and work with are unfailingly kind and generous with their time, advice, and feedback. So: do your research and learn what you’re getting into. Odds are it’s not nearly as scary a process as you may imagine. Finally, embrace your style! As a writer, you may do things a little differently from the next writer at the imaginary conference table, but that’s what makes you so special–and it is also what sets you apart and what will help you sell books later on. Never give up. Never surrender to self-doubt! Your style and your choices as an author are valid. Not only are they valid, but they’re your greatest strengths and your greatest selling points. Don’t shrink from your quirks and “what makes you weird,” as one of my old writing instructors used to say. Own them! Play them up! If you’re doing things your own way and you feel like you’re writing the book you want to write, then I guarantee you that you’re writing a superior book. What’s your goal for 2016? New Year’s provides an opportunity to assess what has and has not worked in 2015 and resolve to make 2016 the best year yet, and for writers this opportunity is especially important. To that end, over the coming weeks I would like to focus on a number of ways in which authors can meet their New Year’s resolutions for and through self-publishing. This week, I’d like to examine four goals. I’m going to list them here, and then break them down individually–because let’s face it, nothing’s quite so simple as a list of neat bullet points when we’re talking about real life and especially real life for an author! So, what does it mean to set goals? What are the implications of a goal-driven self-publishing experience? I have to admit, I find it nearly impossible to keep even a modest resolution–much less a lofty one–without clearly defined benchmarks to reach and methods to follow. My first recommendation for you, the aspiring author, is this: If your resolution is to finish your memoir in 2016, make sure you break that resolution down into concrete, manageable steps. If it’s to publish a cookbook, chart out the steps to making that happen. If it’s to pen a romance novella, be sure to go about it in a structured way. Leaving room for creativity in your writing doesn’t mean leaving room for things to fall apart in terms of planning and organization–and in fact, many of the authors I work with find that tangible, manageable goals help rather than hinder the creative process. On to the second point. What does it mean to facilitate goals. To facilitate something means, loosely, “to make (something) easier : to help cause (something)” to happen, and to remove any hurdles that might prevent you from keeping your resolutions. My job description boils down to facilitation, to helping authors get from point A to point B with the greatest ease and the least inconvenience possible. Your job, as an author, is to make sure nothing gets in the way of your writing–and in the way of your writing reaching your readers. I recommend reconsidering, if time is an issue, the number of hours that you work or your social commitments. You need both time and energy to meet your goals, and those resources don’t just manifest out of thin air. Someone once told me: “I think every person has a kind of emotional budget for the day. You wake up, and you have a certain amount of energy, and you have exactly 24 hours. You have to balance that budget by the end of the day and set up your budget for the next day.” If you spend all of your time and energy on other things, you’ll have–literally–nothing to spare for the writing and publishing processes. And that third step you already know to be non-negotiable: Make writing a priority. You’ve heard all the tips and tricks before, some of them here on Self-Publishing Advisor: Take a break from TV and social media, and set aside a time to write every day. Whether you post creatively on Twitter or write your spouse a juicy love letter, regular writing is guaranteed to feed your creative side and improve your craft. There are loads of online writing courses and how-to guides to self-publishing available for free these days, and there are online communities and forums dedicated to providing support and encouragement to aspiring authors. Every person will find help from different sources–there’s no one-size-fits-all when it comes to writing and publishing–but one fact remains true for everyone. There is no cheating when it comes to writing original content; it all has to come from somewhere. And if you don’t carve out room for writing to be a priority … it won’t happen. See what I mean? Reading may be the last item on today’s list of resolutions, but it’s by far the most foundational practice for you to succeed as a writer. Books are your friends, both the ones that you write and the ones that you read, and your fellow book-lovers make the staunchest of allies in a world that can sometimes make it difficult to get out of bed in the morning, much less check items off the to-do list and meet your New Year’s resolutions. Sometimes, the fiercest battles are fought over the sweetest of rabbits. Ah––and there you have it, my fifth and final late great champion of the self-published or otherwise non-traditional author: Beatrix Potter. A titan in the world of children’s books, Potter’s hand-illustrated flights of fancy have found their way into the homes of millions––millions––of readers. The Tale of Peter Rabbit alone has sold over 45 million copies and been translated into dozens of languages*––and it all started as a quiet private venture, financed by Potter herself. Beatrix Potter’s legacy is a rich one. She was a rather wealthy heiress, and waited until 47 to marry––a radical choice for the time. She was also a dedicated, if amateur, environmentalist. Mostly, today we remember her for her books, but we also remember her for her mammoth lifetime work of preservation; it is in large part because of Beatrix Potter, and her dual income as both an heiress and a successful children’s book author, that we have England’s Lake District National Park. While we know her mostly for the products of her lifetime labors, I might suggest that we remember more than just the books themselves, but also the place which they occupied in Potter’s life. As both author and illustrator, she was responsible for more than just the text on the page; she was responsible for its artistic direction, and in many ways, its actual production. And then there’s the small matter of financing; while her later books were picked up rather quickly, Potter had first to overcome extreme prejudices against both her gender (women were discouraged from involvement in the business side of publishing, at the time) and her vision for the book (which was exacting, down to the page number, the types and quantity of illustrations, and the physical dimensions of the page). She operated in somewhat of a vacuum, without the enormous mechanism of the picture book industry as it exists today. Don’t let others change you without your permission. 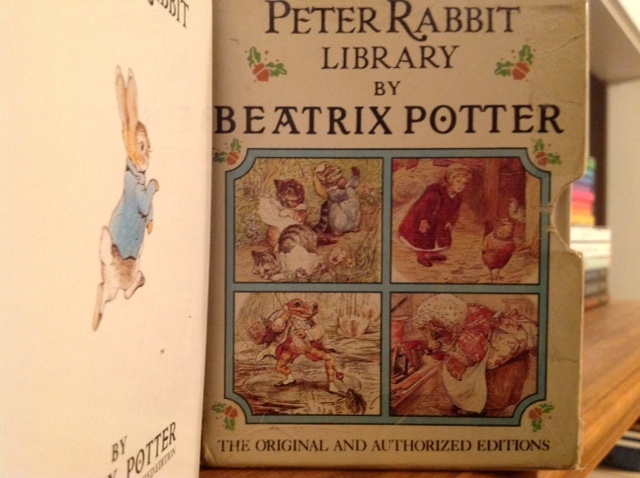 The publishing companies that Potter attempted to sell The Tale of Peter Rabbit to had plenty of suggestions on how she could make the book better––or rather, more salable. They suggested she cut down on the number of illustrations, and alter the book’s size and the number of pages. She stuck by her guns, self-published her book, and later of course history has proven that her vision for children’s book was the future of the industry. You too must stick by your guns, when it comes to the fundamental elements of your book that make it, well, yours. This isn’t to say you shouldn’t listen and internalize the suggestions of others––specifically, publishers––but remember, they’re in the market to sell books and make a profit (or as many companies might say, to recover their investments). A self-publisher chooses to cover those initial expenditures, and retain the work intact. That’s both a radical and rewarding idea. The danger for self-publishers is just as great, however, when it comes to finding themselves on the firing line for making bold (or distinctive) artistic, aesthetic, or other content-related choices. You’ll receive a lot of advice. It’s important to give yourself permission to not follow those suggestions that lead you away from your own vision. Keep it relational. Potter wrote The Tale of Peter Rabbit for an acquaintance’s sick child, and published it because she felt that the scope of the book might touch the lives of others. She was briefly engaged to one of her eventual publishers at F. Warne & Co., (Norman), who died of leukemia less than a month after they announced their engagement––but she stayed with that publisher afterwards, and even left her collected manuscripts and so forth in trust to them after her death. Which is to say: she found her people and built a lasting legacy with them, one that continues to bear fruit, generations later. 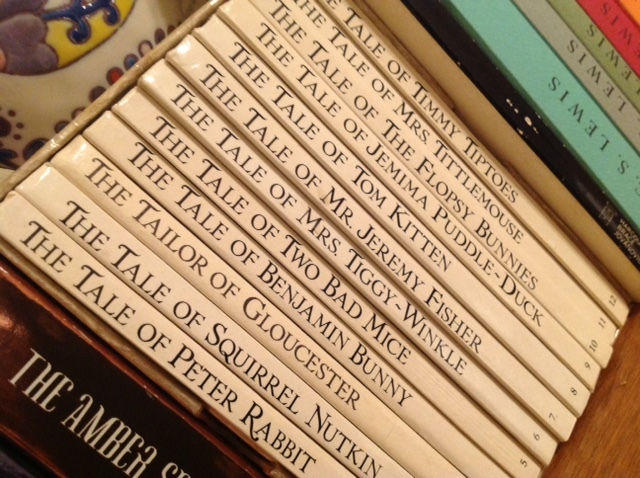 (The 1989 edition of her Peter Rabbit collection sitting on my bookshelf is proof of that.) She didn’t just write to write, or publish to publish; she wrote and published in partnership, in response to, or conversation with, the lives of others. They enabled her to write more of what she wanted to write, and that’s not always an easy groove for a writer (or illustrator) to fall into. We all know that self-publishing can be an exhausting experience, and it’s easy to find yourself carrying the burden of responsibility alone. In the spirit of Beatrix Potter, I encourage you to find your people. Find those kindred spirits, whether fellow self-publishers or lay editors or bloggers or random accidental acquaintances (we’re here for you, I promise), and let them engage with you as a writer and as a person. You don’t need to go through this process alone. This is the last author in my current series (previous authors have included Johannes Gutenberg, Alexandre Dumas, Jane Austen, and Henry David Thoreau). Check back next week as I wind up the series by recapping the ‘greatest hits’ of self-publishing inspiration, so to speak, that these authors have provided! And then––in two week’s time––drop on by as I launch into a new series! This morning marks the fourth installation and therefore the fourth author in my ‘late greats’ series. I’ve already examined the lives of Johannes Gutenberg (b. ca 1390), Jane Austen (b. 1775), and Alexandre Dumas (b. 1824), with a specific eye for the ways in which these authors do or do not conform to the archetype of the self-published author, and an ear for lessons they have to teach us in the current world of self-publishing. This week, I want to examine someone a little more … controversial. A lot of names get thrown around in the self-publishing world as antecedents for us to look up to, glittering stars on the horizon that prove it can be done, it will be done, and thou shalt do it too—but often, it seems as though we play a little too fast and loose with the facts in an attempt to provide a sense of solidarity and affirmation. (And indeed, the knowledge that one’s favorite author or authors have gone through the same struggles can be a powerful incentive to carry on.) You might not, then, be surprised to find out that the case of Henry David Thoreau (b. 1817) has provoked claims that he is both the prototypical self-published author—and that he is no such thing at all, but rather an incredibly mainstream example of the traditionally published author. Unfortunately, we’re unlikely to clear up the matter, even with all of the facts in hand. 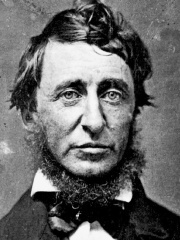 Thoreau’s earliest publications were comprised of a motley mess of short pieces, of which some were published (anonymously) in respected print journals and some were (sort-of?) self-published in Dial, a local Concordian Transcendentalist journal with only two editors, of which he was one. For the majority of his life, he was known mostly for his impassioned speech in defense of the violent abolitionist John Brown—and for his equally impassioned delivery of “Slavery in Massechusetts” at a rally in Framingham. He then published a whole clutch of articles and essays and books around the same time, of which he self-financed at least one (A Week on the Concord and Merrimack Rivers). But the waters are muddied when it comes to public lectures and rally speeches: where do they fit on the Traditional vs. Self-Published spectrum? We may never have a definitive answer to that question. 1) Optimism is a discipline, not a fragile state to be moved through and discarded. “There is an incessant influx of novelty into the world,” wrote Thoreau in his conclusion to Walden, “and yet we tolerate incredible dulness.” His primary interest—or rather the locus of this particular chapter—was political in nature, but what element of life isn’t? (In some small way, at least.) And yet for Thoreau, admitting the nature of politics and even our stagnant investment in politics was not a cause for ultimate despair. Invoking his own amazement, he writes also that “We do not believe that a tide rises and falls behind every man which can float the British Empire like a chip, if he should ever harbor it in his mind.” The implication being, of course, that such a tide does indeed rise and fall—in you. I don’t know about you, but I can’t quite resist such a potent call to arms! To be clear, Thoreau didn’t equate optimism with naïveté or ignorance. It was a virtue to be cultivated, as a mental and physical and even spiritual posture. He wasn’t a success by worldly standards, particularly as a writer, and he knew it. But instead of succumbing to a broken system with its equally broken standards of success, he chose to reframe and redefine both system and standard. He operated on the assumption that humanity is a force of nature, and that we therefore have the agency to invest our choices with meaning. That sounds about right to me. 2) We must write what we feel compelled to write. 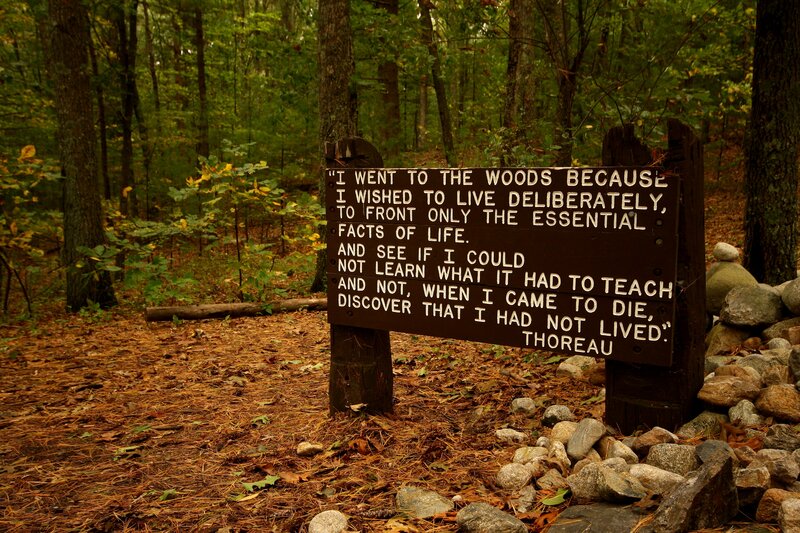 Thoreau didn’t believe in catering to trends, or to any external systemic expectations. This isn’t to say he endorsed opposing every element of the system simply to oppose it; but he did believe in acting according to individual conscience (“…I am as desirous of being a good neighbor as I am of being a bad subject…”), in questioning everything (and I mean everything), and in seeking out a richly textured life. Our interests may indeed align with those that have reached critical mass at the popular level—which currently includes Young Adult literature, dystopias, romance, and a number of other genres—or they may not. We must allow ourselves the opportunity to color in and outside of the lines—and live in fervent belief that we define the framework of our own success (as self-published authors, among other things). This is Thoreau’s legacy, as muddled of a self-publishing icon as he may be: writing is not a game of comparison, in which we win or lose. * NOTE: all quotations sourced from The Norton Anthology of American Literature, Vol. I (2008 edition). If you have any comments, reflections, or suggestions for this new series, I’d love to hear them. Drop me a line in the comments box, and watch this space on Wednesdays in 2015!